I bought three of the TL-SG2008 the same day I bought my EdgeRouter Lite. 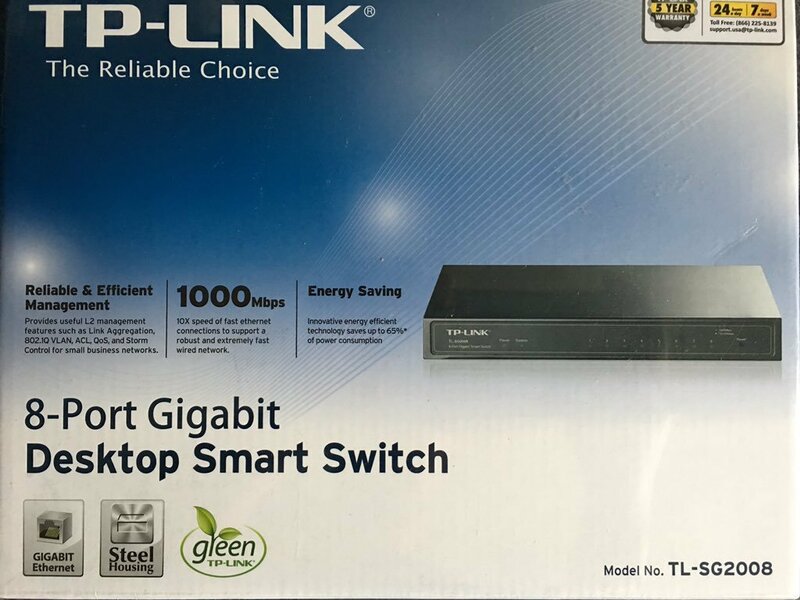 I’ve always wanted some form of managed switch at home to satisfy my wants and to segregate my lab environment. In my old setup, I had three unmanaged switches and all-in-one router (with switch and access point built-in). 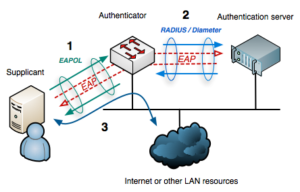 While they worked fine, I wanted some SMB features – LACP, IEEE 802.1Q, etc. That said, I needed to buy some form of managed switches. I checked for used Cisco Catalyst 3560CG on eBay but they are still expensive. I also checked for used prices of Cisco SMB products and they are also expensive for my needs. By then, I realized that I should look at other vendors. I checked Netgear and Linksys product pages because they are popular manufacturers in SOHO and SMB space. I found potential products but I wanted more options. That said, I also checked other manufacturers like D-Link, ZyXEL, and TP-LINK. After few days, I narrowed the potential products into two: TL-SG108E and TL-SG2008. I like the TL-SG108E because of the price and meet my requirements. However, I did not like the fact that I can only configure the switch with a Windows machine because of the application that they provide. The CLI access, SNMP, etc. are the features I like to have so I went with the TL-SG2008. When I was looking at TL-SG2008, there is a 1-star review in Amazon that caught my eye. The person who wrote the negative review is calling himself/herself as Mandrake. The review stated that the product includes security vulnerabilities and claimed that the company will not issue firmware to address them. The company, however, released a firmware that claims that they improved the security level. To me, this signals that the company patched the security vulnerabilities found in this report. This assumption is later confirmed by one of the commenters in Mandrake’s review. While the company seems to have addressed the security vulnerabilities, reading the notes further reveals that they are still using weak security protocols. For example, the recent firmware includes SSLv3 and TLSv1 that addressed the security vulnerabilities of SSLv2. For general users, this might indicate that they’ve improved security but far from truth. Sure, removing SSLv2 does improve security level. However, replacing it with old or deprecated protocol does not. SSLv3 is not sufficiently secure according to RFC 7568. With the release of POODLE type of attack, one should definitely disable this protocol. However, disabling SSLv3 means that we have to use TLSv1. This protocol, however, is no longer acceptable in new implementations per PCI DSS v3.2 document. The document also states that entities should start working towards migrating to new TLS version. Hopefully, TP-LINK will release new firmware that will remove SSLv3 completely and add TLSv1.2. Knowing that the firmware is using outdated security protocols, I decided to run Kali Linux – just used it last month. Kali has a lot of security tools pre-installed that hopefully I can play with in the future. For now, I used it to install and run Nessus Home and OpenVAS to check for security vulnerabilities. I did two scans for each of the vulnerability scanners: one default configuration for both HTTPS and SSH settings and then I made changes. Note: The switch comes with HTTP and Telnet as the default protocols for management. Users will have to configure the switch to use the secure protocols. Using non-secure protocols by default for management is bad practice. Did they really improve security level? The first vulnerability scan is my baseline. At this time, I enabled HTTPS and SSH then disabled HTTP and Telnet for management. I left the other settings alone in the HTTPS and SSH configuration section. In HTTPS configuration section, there are two sections one could play with and these are: cryptographic protocols and cipher suite. For the cryptographic protocol section, we must use at least one protocol. For the cipher suite section, there are four ciphers that we can choose from. In order for HTTPS to work, we must enable at least one cipher. I actually tried disabling the all of them except 3DES-EDE-CBC-SHA but I lost connectivity using Chrome. In the SSH configuration section, there are three sections one could play with and these are: version, encryption, and finally the data integrity. The output below shows the settings available for us to configure. For the first configuration section, we must use at least one. For the second section, we have six encryption algorithms to choose from. We must use at least one. Lastly, we have two data integrity algorithm available to choose from: HMAC-SHA1 or HMAC-MD5. We must use at least one. Both Nessus and OpenVAS report summary shows seven medium severity vulnerabilities. If one does not read the report, one might conclude that both of the scanners reported the same thing. However, reading the report shows their similarities and differences. I have uploaded both the reports. Click here for Nessus report and here for OpenVAS report. Feel free to view the documents if you want to follow along. In the Nessus report, two of the vulnerabilities point to self-signed certificate used by SSL/TLS. Self-signed certificates pose a security risk because of man-in-the-middle attacks. However, I think this is fine in a home environment so I do not consider it being that bad. Though, security professionals may disagree with this thinking. As mentioned earlier, SSLv3 is vulnerable to POODLE type of attack. Both Nessus and OpenVAS reports this vulnerability as well. As a reminder, SSLv3 does not provide sufficient security in this day and age. I do not want to enumerate everything in this post, but I want to mention one more thing that is in the OpenVAS report. 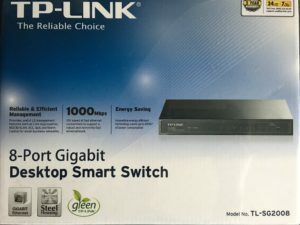 The vulnerability does not only affect TP-LINK but multiple manufacturers as well. The security vulnerability that I am talking about is the one that says “Known SSH Host Key”. You can find more information here. Unfortunately, there is no way around this because of TP-LINK did not include a way for users to generate new keys. Being able to generate new keys is a common practice in configuring networking devices. In this last vulnerability scan, I disabled some settings so I can lessen the security vulnerabilities of my switches. With the current firmware, I will never able to reach zero security vulnerability. In the HTTPS configuration section, I disabled SSLv3 and two RC4-based ciphers. Though, the two left are also weak ciphers in today’s standards. Today, TLS implementations are using stronger ciphers like AES in GCM mode, AES in CTR mode, or ChaCha20. In the SSH configuration section, I disabled the following lines. Any device with SSH should no longer use SSHv1. The manufacturer should have not included this version if they want to improve security level. For the encryption algorithm, I disabled three of them. Though, all of the encryption algorithms available to us are weak anyway so it may not buy us anything. Encryption algorithm using Cipher Block Chaining (CBC) mode is weak. As a result, we will see that OpenVAS and Nessus will report that we are still using weak SSH ciphers. For the data integrity algorithm, I disabled MD5 because it is vulnerable to collision attack as described in this paper. Though, SHA1 is also vulnerable to an attack as described in this paper. As you can see below, I was able to reduce the number of medium severity vulnerabilities by disabling some settings. Interestingly enough, the OpenVAS increased to three low vulnerabilities. Again, I uploaded both of the reports. Click here if you want to see Nessus report and here for OpenVAS. Aside from the security vulnerabilities, there are few things I do not like about this switch. I think it is unfair to for the reviewer to rate it as 1-star purely based on security vulnerabilities. Don’t get me wrong though. Security is very important and would probably lose one or two stars but giving it 1 out of 5 seems to be unfair. If one cannot eliminate the security vulnerabilities then mitigation becomes important. In this case, I was able to reduce the number of security vulnerabilities by turning off settings. In addition, I can reduce the number of medium severity vulnerabilities by disabling HTTPS for management. Speaking of management, the switch offers ACL capability so one can configure it to limit computer(s) that can access it. Is it better to buy another product that does not include these security vulnerabilities? Sure. Will I return the product? Unfortunately, I will not be able to return them because I’ve had them for more than six months now. If I was able to return them, will I? I have to say no. I haven’t had any issues with the switch and I really like a switch that has CLI access. I have not seen one in the same price range that offers this feature. There is a possibility that I am not looking hard enough though. Will I recommend it? Sure, so long as the buyer is aware and understand the vulnerabilities that come with it. I mentioned about sFlow in this blog post. Today, I want to show how to configure it on Nexus 3000 series. The configuration lines covered here were tested on both Nexus 3172 and 3048. Nexus 3524/3548 is not sFlow capable so please check the Cisco’s documentation to see if the switch supports it. sFlow, short for sampled flow, is an industry standard sampling technology for monitoring traffic in data networks. It was originally developed by InMon Corporation, maker of Traffic Sentinel – a flow collector, and it is now defined by RFC 3176, for the most part. If you are familiar with NX-OS, then you know that the feature command is pretty much needed to enable the features you want on Nexus switches. This is no different from the other features such as BGP, OSPF, etc. The command above enables the sFlow feature. The next two settings are important and one needs to consider how it should be configured on his/her network devices. These two settings are sampling rate and polling interval. The sampling rate is the number of samples of packets that traverses the interface in a specified period of time (polling interval). Let’s take a look at a scenario where the sampling rate is set to sample 1 of 5,000 and the polling interval is set to 60 seconds. Let’s say that in 60 seconds there were 50,000 packets traversed the interface. With the configured sampling rate, sFlow collected 10 out of 50K packets. This is quite a small number of packets collected and doesn’t really reveal the overall network traffic. Let’s say that sFlow collected five packets of HTTPS traffic, one of NFS, one of SSH, one of FTP, and one of ARP. One could speculate that there were more HTTPS traffic but one could never be 100% sure because 10 is a very small number. Make sure to adjust the sampling rate and polling interval for your needs. The configuration below is just a sample based on the scenario above. Switches that support sFlow have an ASIC that is capable of handling more frequent collection. That said, feel free to collect as more often as you want since it will consume less resources than NetFlow does. Though, newer Cisco switch might have the necessary ASIC(s) that can handle NetFlow as good as the sFlow.
! Sampling rate is configurable from 4096 to 1000000000. 0 disables the sampling. 4096 is the default value.
! Polling interval is configurable from 0 to 2147483647. 20 seconds is the default. The next important command is the data source. With no data source, there is nothing to report to the collector. If all the interfaces on the switch is defined as the data source, there will be an error if in the future one decides to use the interface for an EtherChannel. That said, they need to be taken out of the data source and added back in, if one needs to collect sFlow data. If the interface is a member of an EtherChannel, one has to add the logical interface as the data source and not the physical interface. Now, we need to point the switch to the flow collector. Check with your flow collector vendor if it supports sFlow. I know that InMon’s Traffic Sentinel supports multiple flows like sFlow (obviously, they originally developed the protocol! ), NetFlow/NetFlow-Lite/Flexible NetFlow, IPFIX, etc.
! 6343 is the default and the official sFlow port. If it’s not obvious enough, the collector-ip is the IP address of the flow collector. The vrf option depends on how everything is set up. The management would be used if one is using the management port and the collector is reachable via that interface. If not, use the default option. The agent-ip is the source IP address that one wants to use. Use the management interface’s IP address if that is the one chosen in the vrf option. The last two configurations are basically optional. They have default values but may want to configure depending on one’s environment.
! This configure the maximum number of bytes that should be copied from a sampled packet.
! This configure the maximum number of data bytes that can be sent in a single sample datagram. If you have a flow collector and Nexus switches that support sFlow, consider enabling it. It allows you to have some type of network visibility that may help you in the future. For example, the one I mentioned here, finding out who the target of a DoS/DDoS attack, top talkers of the network, etc.